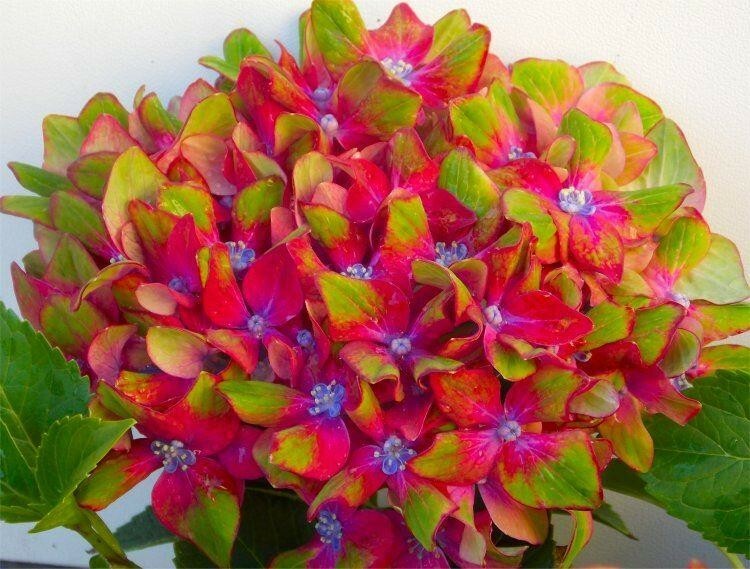 Hydrangea, also known as Hortensia are really quite amazing plants, and this is a very, very special variety that is particularly so. 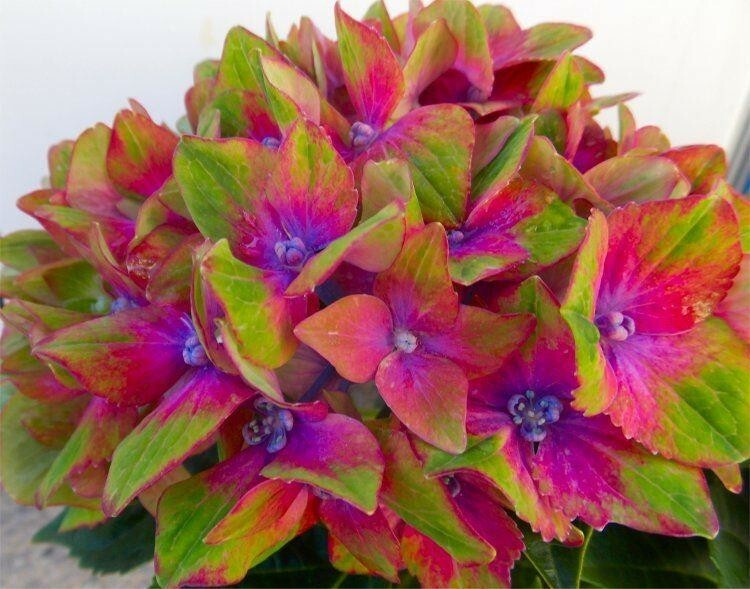 Hydrangea Glam Rock (also sold under the name of Saxon or Schloss Wackerbarth) originates from Germany, and has to be seen in bloom to be believed. We couldn't quite believe our own eyes ourselves, but this floriferous shrub produces a really unusual and dazzling display. 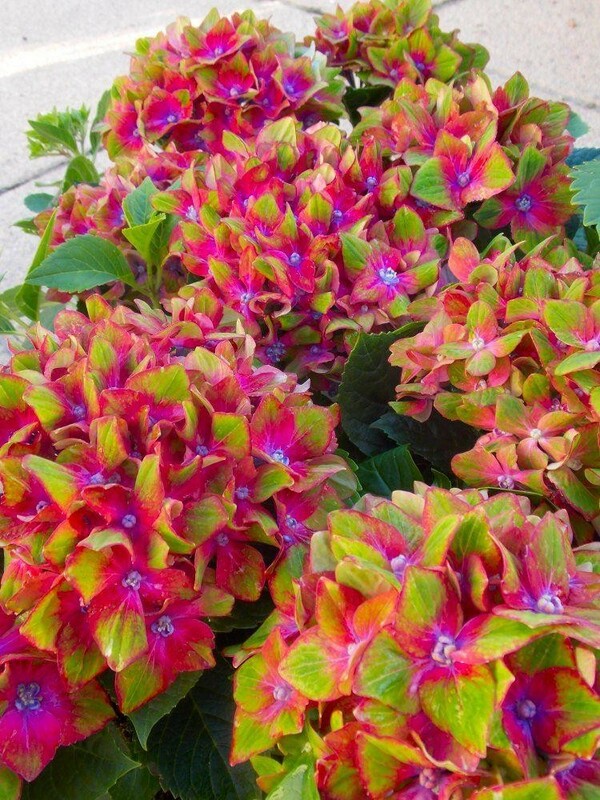 The rounded flowerheads are formed from dozens of red florets with blue-purple centres and each petal is tipped lime green. 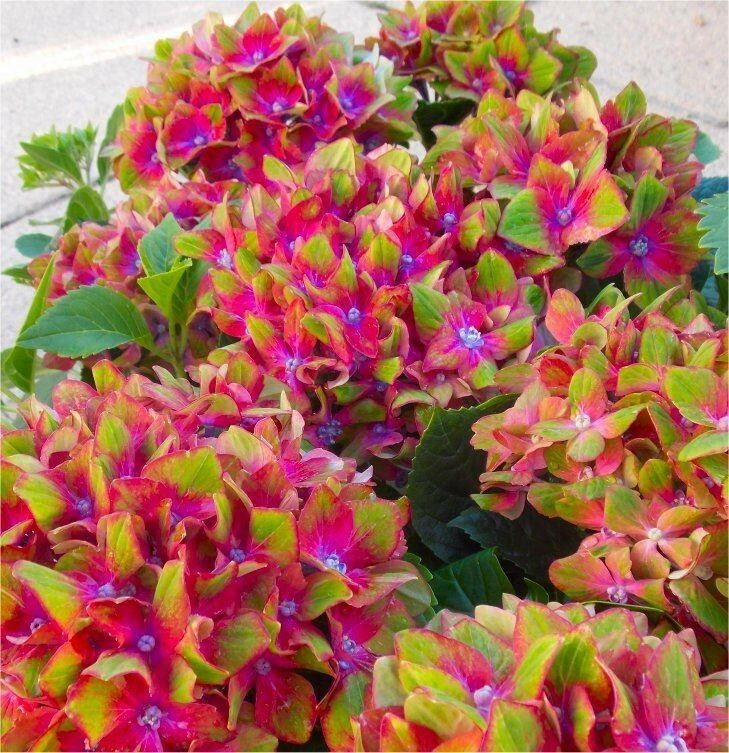 As with many cultivars, it produces slightly different colour tones depending on where it is planted, but all will be beautiful. The show is like a kaleidoscope of disco ball colour! A robust plant, it is very, very easy to grow, tough and fully hardy too, any one can grow this easily. Perfect for patio planters or garden beds and borders. Why not try yourself and give every one a colourful surprise with the magical colour changes. Said by a competitor to be one of their best sellers, we're pretty sure you're going to snap these up very quickly with us! Pack of three strong bushy plants, each supplied in approx. 1 litre containers - far larger than our competitors!